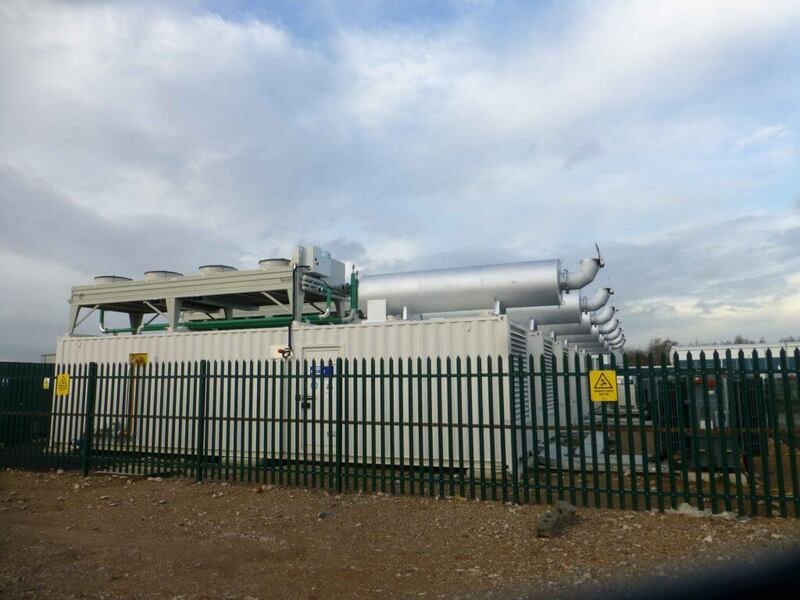 With a view to reduce both emissions and fuel running costs our client approached us with a site and a plan to install natural gas fuelled generators upon it. 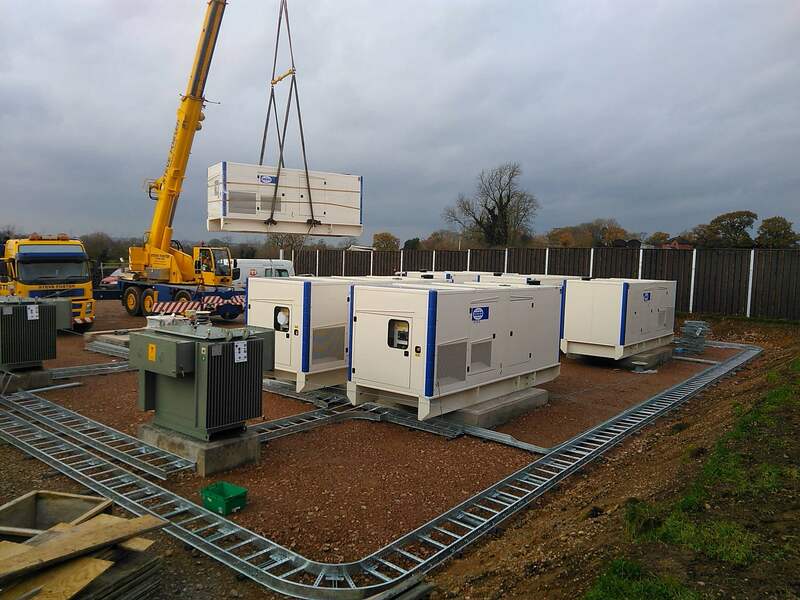 Having considered the space available and the access road possibilities we produced a plan utilising seven containerised 1MW generators in a row. Having agreed a design, a price and a program of works we set up suitable site welfare and security facilities and put in a full time site engineer to oversee Health & Safety during the entire period of the delivery and installation works ensuring safe practices were observed at all times. 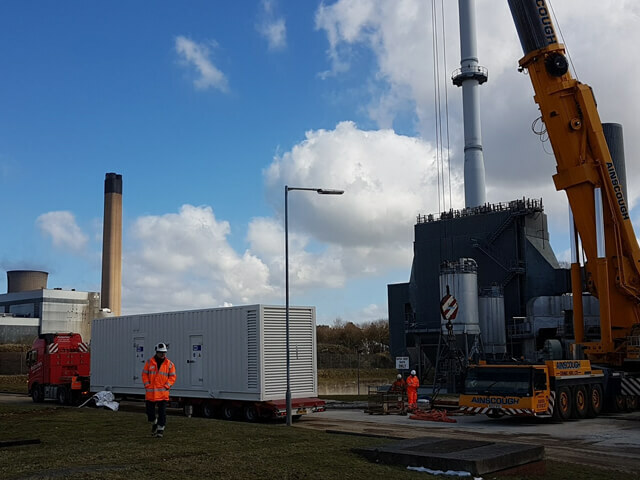 The 1MW output gas generators were delivered enclosed within a weather resistant and acoustically treated special build 40’ shipping containers making the shipping and transport of each unit very easy as well allowing the easy handling of the complete built unit (minus roof mount radiator) on site. By digging trenches for gas pipe distribution as well as the cable ducts whilst the civil works were being undertaken the works after generator delivery were straight forward and completed with a minimum of disruption. Once the containers were positioned the radiators were lowered onto the roof and connected into the engine cooling system using a quick connect pipe system minimising the time spent working on the roofs as well as reducing the time spent with safety scaffolding in place for those roof works. The gas pipe works were undertaken and all tested by a registered Gas Safe contractor, whilst the HV cabling and HV switchboard were similarly all installed by a specialist HV contractor. 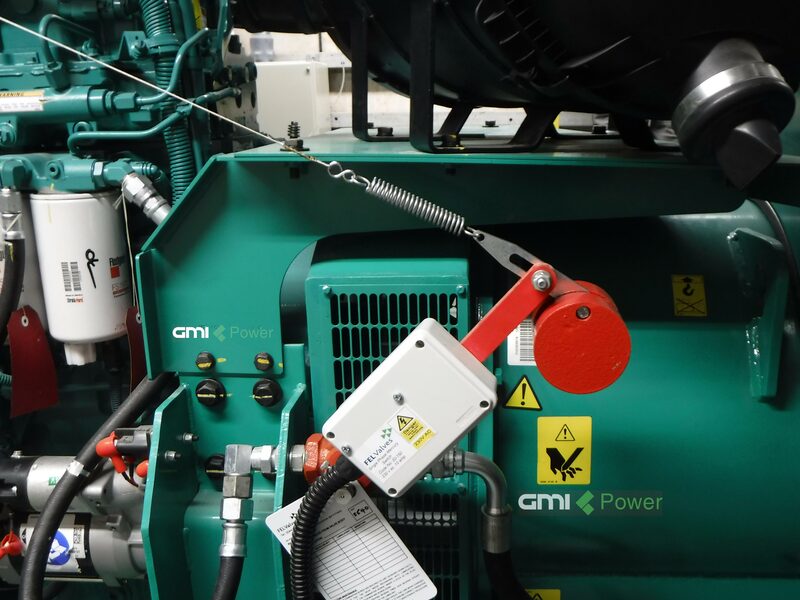 The site generator controls and remote monitoring as well as remote start/ stop facilities were designed, tested and installed as part of the package creating an unmanned fully automatic 7MW mini-power station available for use at anytime to support National Grid power generation.